Profit Apr 18th, 2019 $3.06 API Payment. Payment+to+allhyips+from+Albiton.io. Profit Apr 17th, 2019 $3.06 API Payment. Payment+to+allhyips+from+Albiton.io. Profit Apr 17th, 2019 $3.40 API Payment. Payment+to+allhyips+from+Albiton.io. Profit Apr 17th, 2019 $1.70 API Payment. Payment+to+allhyips+from+Albiton.io. Profit Apr 16th, 2019 $3.06 API Payment. Payment+to+allhyips+from+Albiton.io. Profit Apr 16th, 2019 $2.04 API Payment. Payment+to+allhyips+from+Albiton.io. Profit Apr 15th, 2019 $3.06 API Payment. Payment+to+allhyips+from+Albiton.io. Profit Apr 15th, 2019 $3.40 API Payment. Payment+to+allhyips+from+Albiton.io. Profit Apr 15th, 2019 $1.70 API Payment. Payment+to+allhyips+from+Albiton.io. Profit Apr 14th, 2019 $3.06 API Payment. Payment+to+allhyips+from+Albiton.io. Profit Apr 14th, 2019 $2.04 API Payment. Payment+to+allhyips+from+Albiton.io. Profit Apr 13th, 2019 $3.06 API Payment. Payment+to+allhyips+from+Albiton.io. Profit Apr 13th, 2019 $3.40 API Payment. Payment+to+allhyips+from+Albiton.io. Profit Apr 13th, 2019 $1.70 API Payment. Payment+to+allhyips+from+Albiton.io. Profit Apr 12th, 2019 $2.72 API Payment. Payment+to+allhyips+from+Albiton.io. Profit Apr 12th, 2019 $3.06 API Payment. Payment+to+allhyips+from+Albiton.io. Profit Apr 12th, 2019 $2.04 API Payment. Payment+to+allhyips+from+Albiton.io. Profit Apr 11th, 2019 $3.06 API Payment. Payment+to+allhyips+from+Albiton.io. Profit Apr 11th, 2019 $3.40 API Payment. Payment+to+allhyips+from+Albiton.io. Profit Apr 11th, 2019 $2.38 API Payment. Payment+to+allhyips+from+Albiton.io. Profit Apr 10th, 2019 $3.06 API Payment. Payment+to+allhyips+from+Albiton.io. Profit Apr 10th, 2019 $1.70 API Payment. 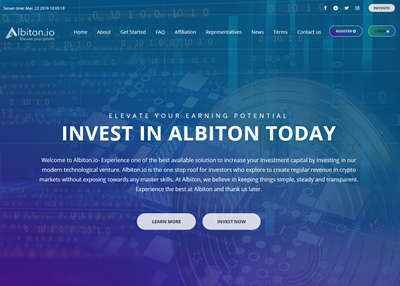 Payment+to+allhyips+from+Albiton.io.